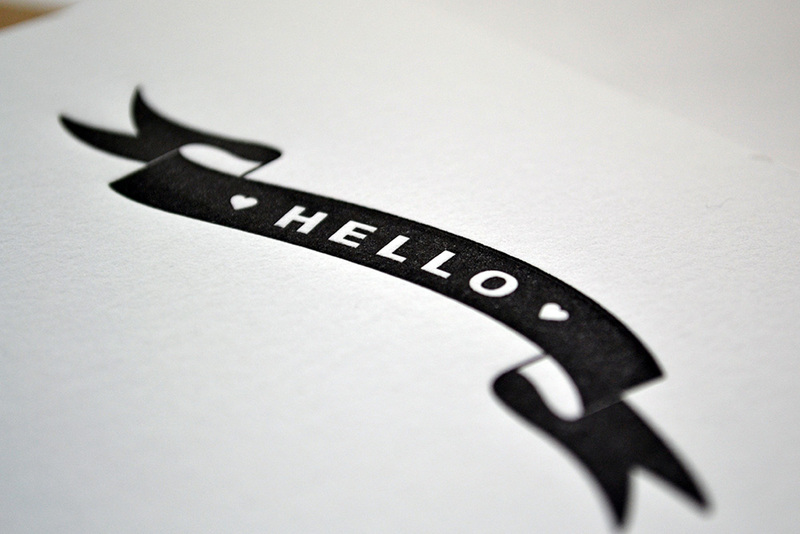 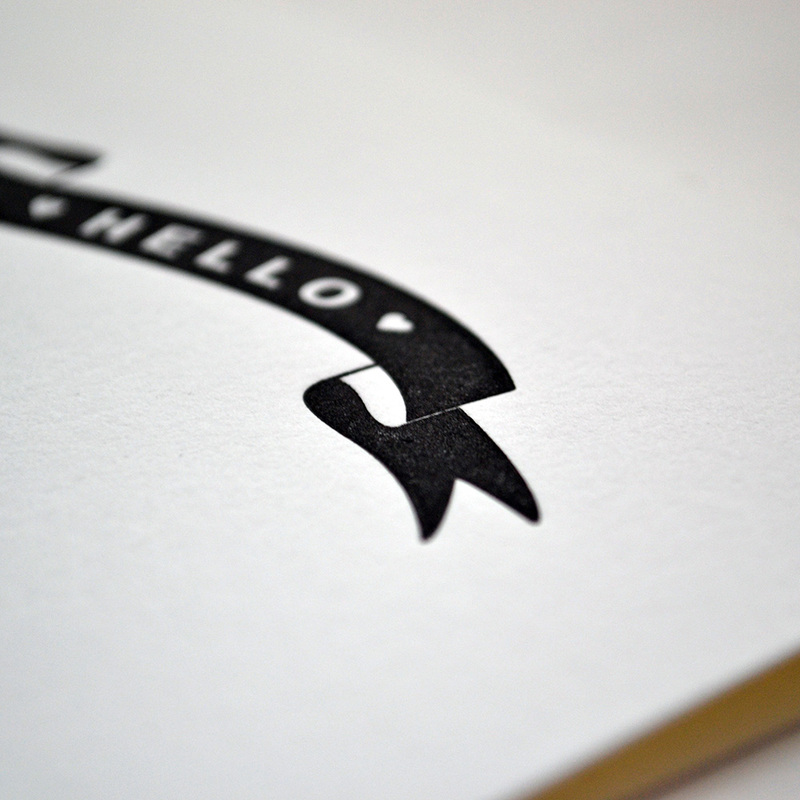 Letterpress banner hello note cards in black. 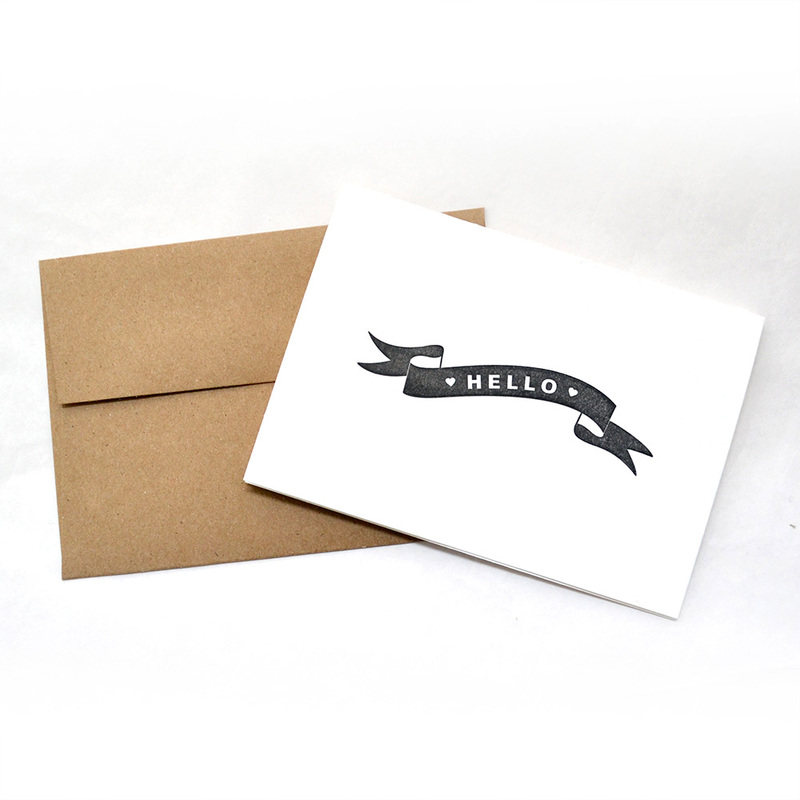 Printed on 100% cotton Lettra pearl white paper with soy-based ink, the card is Folded, 4 bar size (measures 3 1/2 x 4 7/8 inches), blank inside, comes with cotton recycled kraft envelope in 4 bar size (3 5/8 x 5 1/8 inches). 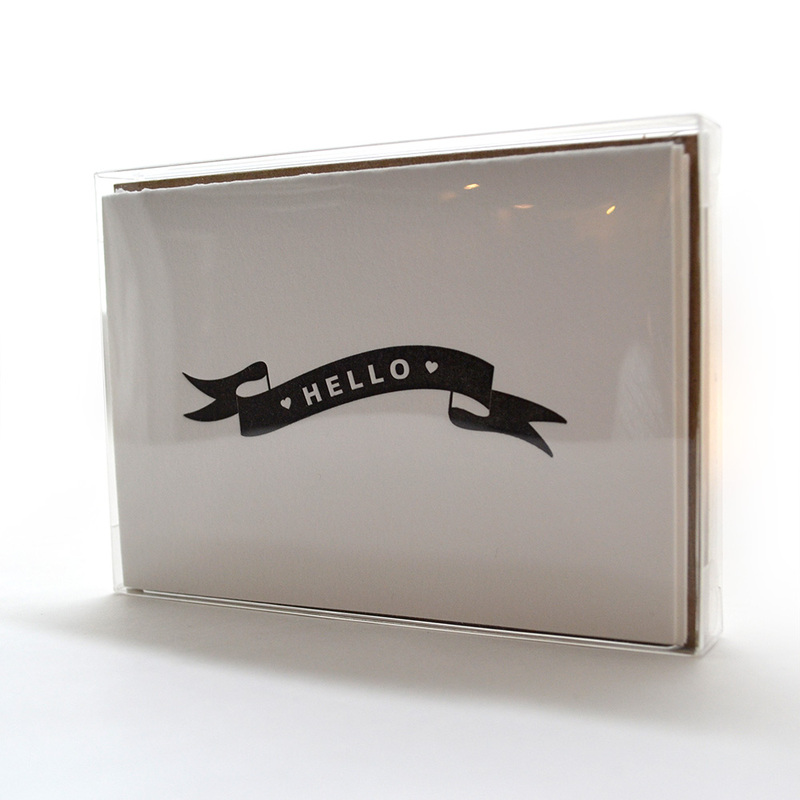 Available as a box set of 6 — housed in a clear box with envelopes. 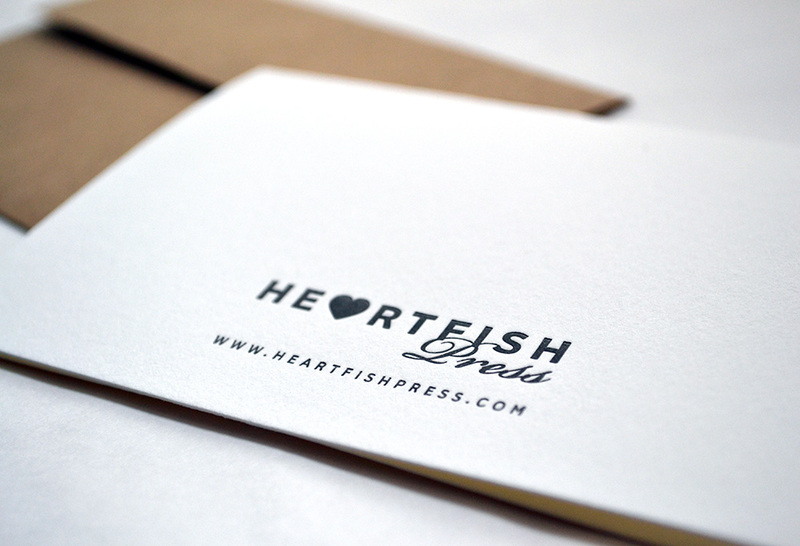 6 note cards and 6 envelopes.